The French Pastry was made by Dolly Madison Bakeries. Thanks to readers Calvin Lucy and Jackie Barker (who found this 1956 ad for the French Pastry snack cake). Famous photo of Mary being hanged in Erwin on Sept. 13, 1916. The authenticity of the photo is in doubt. Sparks Circus ad in Johnson City Staff newspaper for show on Sept. 14, 1916. 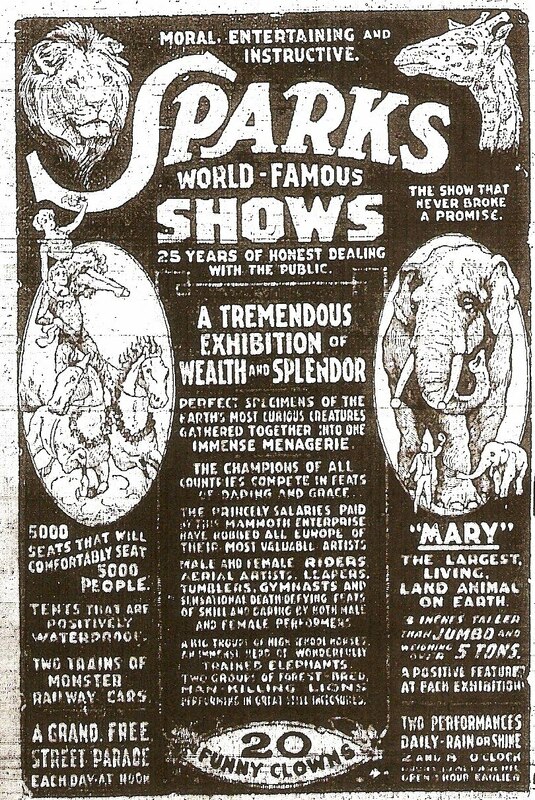 The Kingsport papers for this period are lost but the ad in Kingsport would have been similar since the Sparks Circus was using this same poster in ads a year later (after Mary had been hanged!). 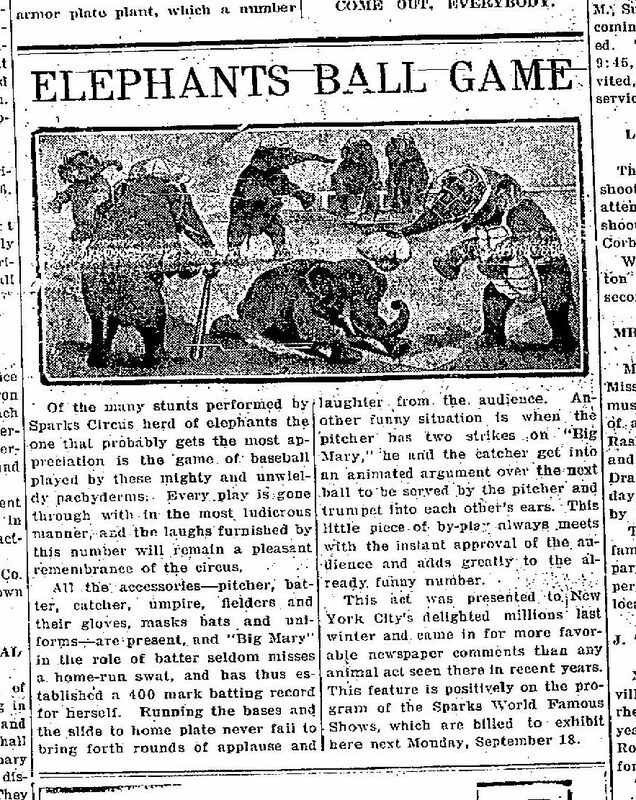 A newspaper description of the Sparks Circus parade in Richwood, Ohioi two weeks before the Kingsport show. The Kingsport parade would have been similar. 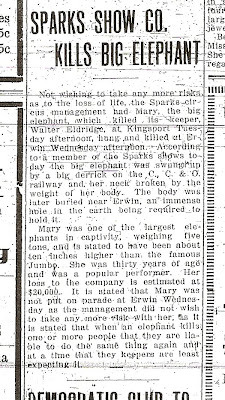 Story of Mary killing her trainer from the next day's Johnson City Staff. 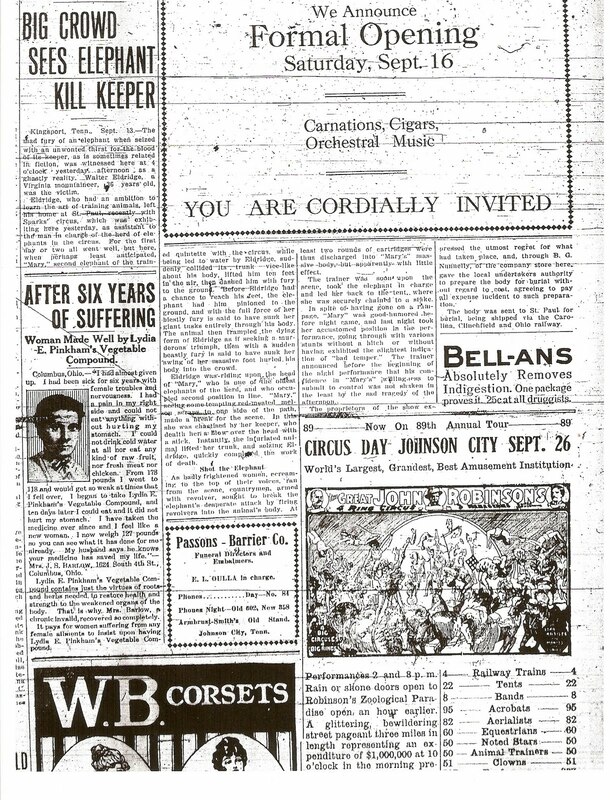 Kingsport papers for this period are lost. 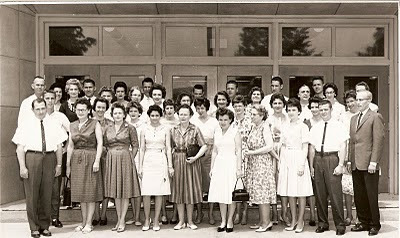 Story of Mary's hanging from the Johnson City Staff. Story was "buried" on page 6! 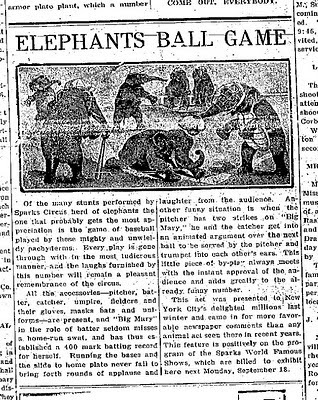 Newspaper story about Sparks' elephants most famous trick, a baseball game. Johnson City Staff story about Sparks Circus performance held in J.C. Sept. 14, 1916, two days after the "incident" in Kingsport. 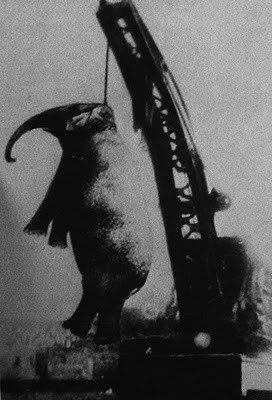 Circus pass - this was a free ticket given to local officials, also to boys who helped erect the tent. 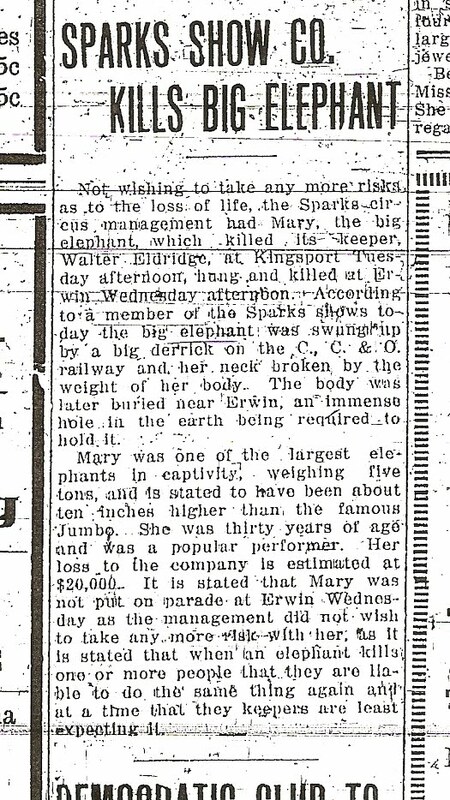 Kingsport Times looks back at the story of Murderous Mary 22 years later, in 1938. Vince with the Panama Canal in the background. 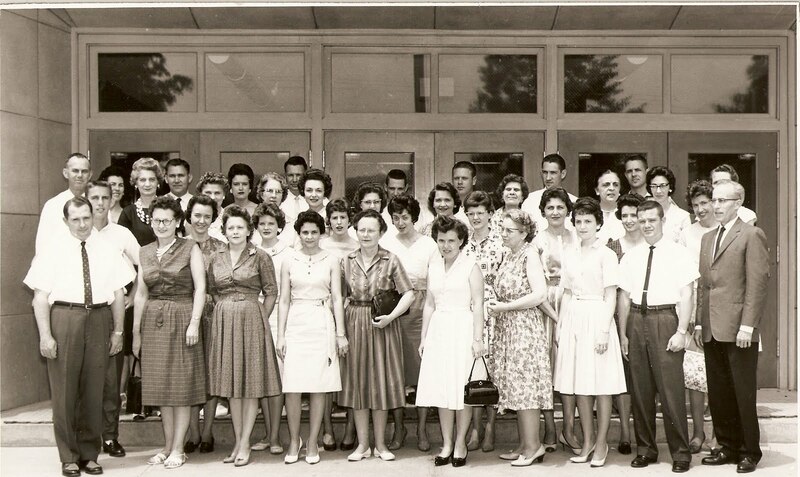 Vince and the Carmen Miranda's in Colombia. On the beach in Aruba. The big old Fort de la Reese in Cartogena, Colombia. That's Cuba in the background.